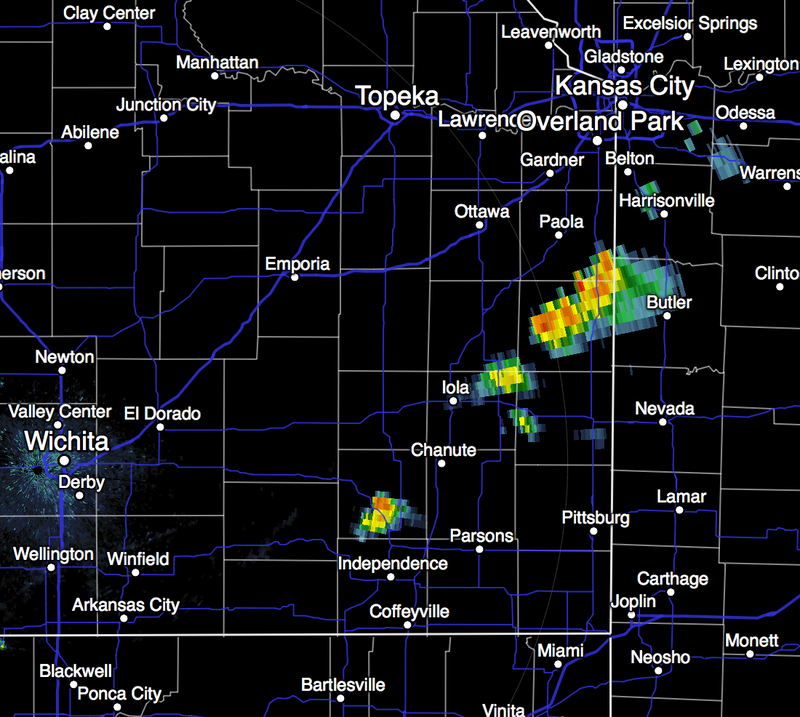 Thunderstorms are starting to develop from southeast of Kansas City to southeast Kansas. Large, perhaps very large, hail and damaging winds are likely from the stronger storms. Radar is from 8:04pm. Please put your car in the garage and bring in trampolines, lawn furniture and other items that could be blown about. UPDATE: 8:24PM. Severe thunderstorm watch issued for the region until 2am. 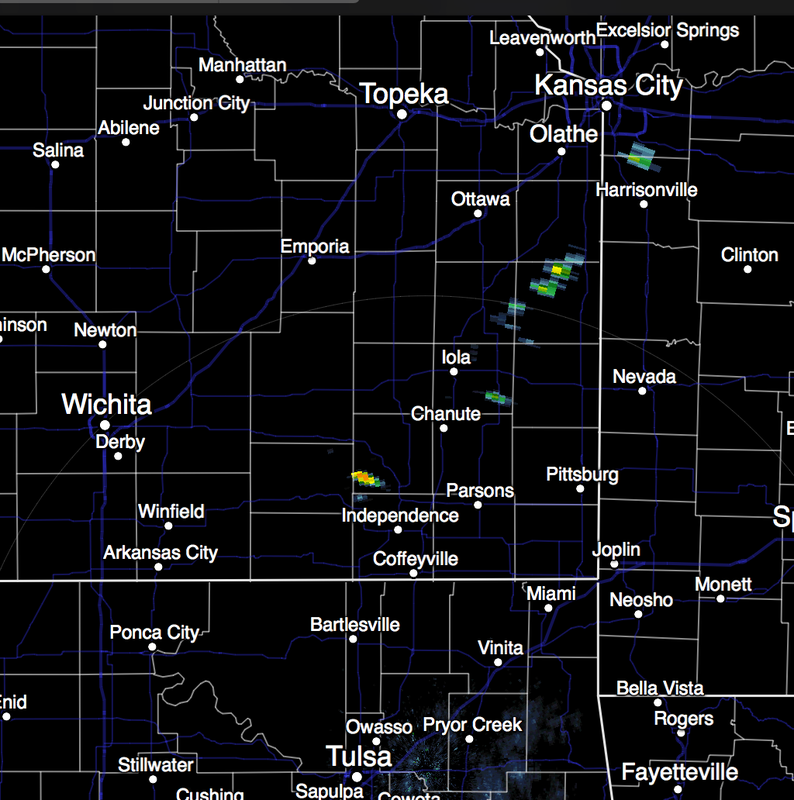 Radar at 8:23pm. I will not be covering these storms tonight. I will have coverage of the tornadoes and severe thunderstorms forecast to occur tomorrow afternoon and night.